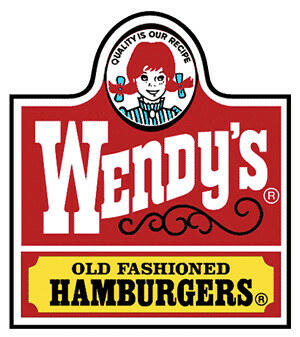 When I was little, I loved going to Wendy’s with my mother. We would go inside, order a potato and get the salad bar. Of course, salad bars are a thing of the past at Wendy’s. 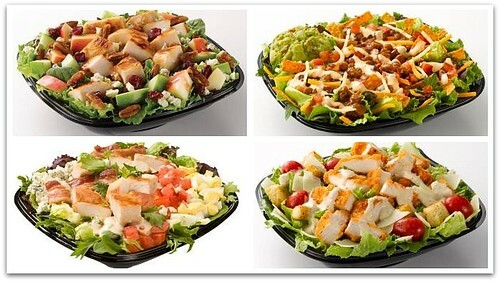 These days, Wendy’s has a wide variety of specialty salads available for people to select from. A short time ago, they introduced four new salads. I was contacted by a PR person representing Wendy’s to review one of their new salads and agreed. They sent me a gift card and asked me to head to the nearest location and order the one that intrigued me the most. Apple Pecan Chicken Salad – A blend of fresh lettuce and spring mix salad greens, topped with real blue cheese crumbles, U.S. grown, hand-picked Granny Smith and sweet red apple pieces, roasted pecans seasoned with sea salt, cayenne pepper and sugar, dried Ocean Spray cranberries and warm grilled chicken. This salad comes with all natural, preservative-free Pomegranate Vinaigrette dressing. BLT Cobb Salad – A blend of fresh lettuce and spring mix salad greens, topped with two strips of Applewood Smoked Bacon, freshly chopped tomatoes, real blue cheese crumbles, chopped hard boiled eggs and warm grilled chicken. This salad is served with all natural, preservative-free creamy Avocado Ranch dressing. Baja Salad – A blend of fresh lettuce and spring mix salad greens, topped with natural cheddar and pepper jack cheeses, guacamole made with Hass avocados, freshly prepared Pico de Gallo, all natural tortilla chips, and Wendy’s famous rich and meaty chili. This salad is served with all natural, preservative-free Creamy Red Jalapeno dressing. Spicy Caesar Salad – A bed of fresh romaine lettuce topped with vine ripened grape tomatoes, natural shaved Asiago cheese, French bread croutons seasoned with sea salt, black pepper and garlic and Wendy’s famous Spicy Chicken. This salad is served with all natural, preservative-free Lemon Garlic Caesar dressing. Wendy’s new salads are available nationwide at the suggested retail price of $5.99. Prices will vary. For more on the nutritional information, head online to Wendy’s for details. Confession, I went to Wendy’s alone and took my salad home. After going out for the first time without kids (the little guy was in nursery school), I stopped by Wendy’s with my giftcard to purchase one of the new salads. I knew going in that I was going to order the Apple Pecan Chicken Salad. I had watched on a morning news show that this was a pretty good pick if you are trying to be conscious about your food intake. I was most excited to try the Pomegranate Vinaigrette dressing. It did not disappoint. It was light, tangy and just sweet enough. 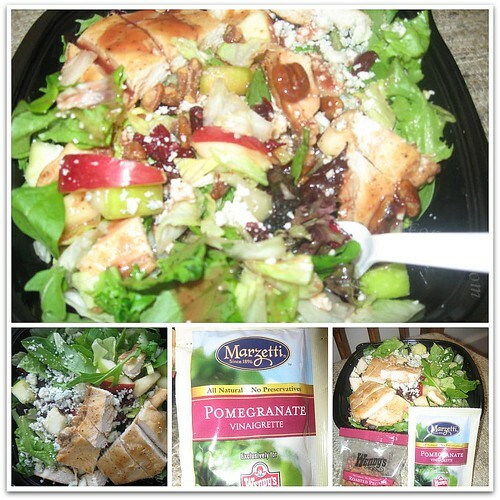 It complimented the different types of greens, blue cheese, pecans, chicken, dried cranberries, and apples perfectly. It was not too heavy and once I mixed it up I thoroughly enjoyed it. Most of the time, I am a romaine lettuce person, but I really thought the mix of salad greens in this were nice. Nothing was biter, too leafy and my children probably would have tried it. Next time I head to Wendy’s, I know what I will be buying. The best thing is that I can now go to their online nutritional guide and personalize my salad to see calories, fat, fiber and other details the way I decide to eat my salad. If I leave off the pecans, I know what it will do. 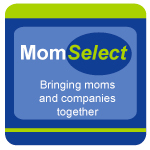 This is extremely nice and helpful to those on Weight Watchers and other programs. Disclosure: I received a Wendy’s giftcard complimentary of Wendy’s in order to facilitate this review. No other compensation was given. The opinions expressed in the review are my own. Looks yummy! I am so going to try one. 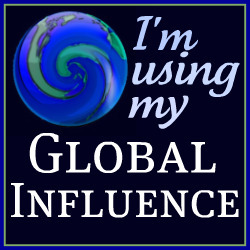 PS…how did you get a GC from them? Was it from the bloggy event? ohhh! that is just evil and tempting. I get my own little lunch treat on Tuesdays I know what I am getting. I love the Baja one… but it’s the only one I have tried!